Paranormal storytelling from all over the spectrum. For a school film project I started talking to people who have experienced paranormal veil crossing, as well as those who are more agnostic about the subject. I recorded first-hand stories and later reached out to a local group, Metro Paranormal Investigations, to chat about some of their experiences as well. Then they offered to host a night of investigations at Historic Fort Wayne in Detroit and I about squealed with joy (but hopefully sounded SO cool about it with Wayne). So, despite hours of work interviewing people about private homes and all things ookey, I traded in my second-hand first-hand stories for an adventure of my own. Some of my classmates heard about it and asked to help out, so, off we went! We learned that it's not just ghosts and goblins, but science. We went through some EVPs with them, heard their tales on the very specific places we were going to be working in for the night, learned about their techniques and processes, and then finally, once those are broken down, we rule if it's an actual haunted location. In which Fort Wayne is. I have since come back here a number of times, and have had encounters that I still look back on with smiles- Hi Tom! I've learned to ask ghosts not to follow me home, but to keep in touch, and made some (actual human) pals. All of that will be in future posts. Shout out to MPI: Jo, Wayne and Chris, to my team: Kyle, Carolyn, Kyle, Melanie and a double shout out to Megg who spent the whole night with her eyes closed and curled in a ball. For more information on MPI click here, for more on Historic Fort Wayne (which is now a State park) click here. Wow you are totally so brave. I would be such a chicken to go through this experience. But it is so interesting to see how this experience is more a science. What a totally interesting experience to have, and one that I am sure will have some vivid memories for you! Quite an intriguing post. And I am sure the experience must have been so frightening and memorable as well. I am not sure if I believe in ghosts. That being said, I stay far away from "haunted houses" or anything that could potentially have something I do not like. So then at least a small part of you believes! I'm a real baby when it comes to these sorts of experiences! That said, I commend you for doing this. It's cool that it's science, not just ghosts! This sounds like so much fun! I did a ghost tour walk one time in Old Town Alexandria but it was nothing like this. Sounds fun I really want to try ghost hunting someday but most of my friend they are scared of ghost. Great experience of you. About a year after this I did a ghost hunt in the same location with a bunch of the Ghost Adventures team! This could be an interesting topic depending on where you are in life. Myself do not like to open up to these areas. That would totally creep me out! Great documentary though. Interesting to hear the different perspectives. That sounds like a crazy-fun time! 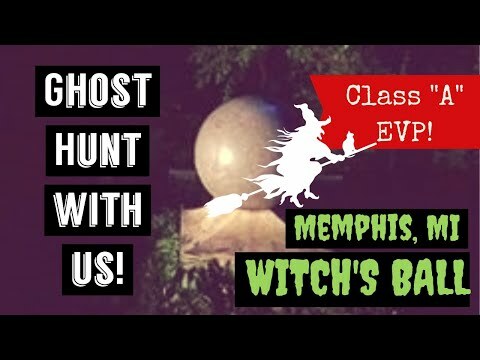 I did a "ghost tour" once of a city I was visiting. It was a walking tour of all the places that ghosts had visited in the city over its history, according to people's sightings and such. This reminds me of that tour. That seems so scary! I'm not about any spooky AT ALL (Not a fan of Halloween whatsoever). You're definitely cut from a different close for me. What an interesting topic. It seems so scary to do for real. I'm far to big of a weeny! Wow! It seems like an interesting but scary experience. I'm scared of ghost so I don't think I will do this haha. However, it's nice to read about other opinion and experience. Wow! This sounds quite interesting and equally scary. I love spooky stories and I’m equally scared of them. I do not have the courage to go for a ghost hunt. You are brave enough to go for this first-hand experience. Great video! I'm not officially a "Believer" but I must admit your documentary is really great and very well done! WOW! This looks like such a cool experience. I would be too chicken though. Sounds like a fascinating time! I steer clear of seeking paranormal encounters, although I do believe in the supernatural and spiritual realm. To tell you the truth, I would have chickened out! You are courageous to take it up. Kudos to you! This blogs revives my interest in paranormal activities and I am looking forward to your next posts. Very interesting!